I’ll admit that when I first started delving into the opportunities of energy storage my assumptions were a little pie-in-the-sky. I formed dreamy images of car-sized battery packs that would sit next to wind turbines at night while the nearby world was sleeping, and be trucked to the bustling metropolis by day to unload all the energy a few of their resident and business complexes would need. Global warming was reversed, dirty energy pollution was halted in its tracks, and happy, smiling farmers leasing little pieces of their land to wind turbine developers were thriving despite falling crop prices. What I was seeing in my head was the potential of energy storage to leverage off-peak energy production for high peak need times in a very big way. The reality is that this sort of hours-and-hours-of-electricity-generation-saved-for-later, whenever, wherever use model would require not car-loads, but city block-loads of advanced battery tech to fly, and at prices too steep to make sense in today’s power market. Of course, this could change very fast if tax credits such as those proposed in the U.S. Energy Storage Act go through, and the demand for these technologies continues to push the tech possibility envelope, but obviously, we’re not quite there yet. But however ahead of themselves my early visions may have been, grid-level energy storage application is very much alive and well today, indeed helping to make renewable energy especially useful in the face of growing grid demands. How is it working? Namely, by leveling out the intermittency problems (and headaches) that renewable sources give grid operators. Let’s take a look at the award-winning Laurel Mountain wind power and energy storage project in West Virginia to highlight. In the fall of 2011, AES Energy Storage, in conjunction with AES Wind Generation, announced full commercial operation of the 98 MW wind generation project called AES Laurel Mountain. The project includes 32 MW of integrated battery energy storage, the largest of its kind. The storage provides valuable frequency regulation to the local PJM utility market while helping to manage output change rates that can occur in shifting wind conditions. Basically, it gives short boosts of energy to the grid as needed on a second-by-second basis, storing and unloading short intervals of energy as it goes. The function of frequency regulation is one of the biggest applications and therefore opportunities for advanced battery energy storage out there today. 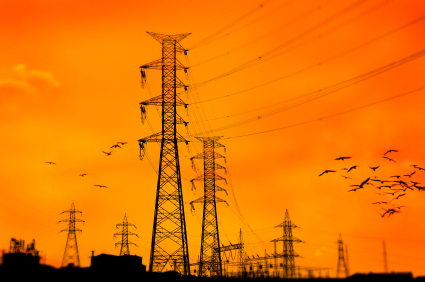 Because frequency regulation will continue to be a very important aspect of grid operation, especially as renewable energy standards put more and more wind and solar on the grid, it is a key driver to energy storage industry growth – one reason why proven, reliable storage options like advanced Lithium-Ion batteries will continue to be a sought after and well-backed technology. Designed, built and operational in just fifteen months, the energy storage system provides superior speed and response to any system reliability event such as loss of transmission, or loss of a power generator. Fast response enables the power system operator to maintain and restore the grid with less shedding of load from customers or other disruptive actions. In 2011, the first 12MW project in Los Andes was noted by the region’s grid operator, CDEC-SING, as one of the best performing reserve units in Northern Chile. So, while my imagined macro-scale plains-to-city portable battery packs may not be a thing of today, and it’s yet unseen when they might be reality in the future, I’ve got plenty to be excited and even dreamy about. The real-life, real-time application of grid-scale energy storage is a powerful driver in today’s advancement of battery tech, making every electron count a little more. Today’s innovations will only lead to more, and the future looks a little brighter because of it. - Heather Philipp, VP Marketing, BeVault Inc.